Guenther Uecker was born in Wendorf, Mecklenburg, Germany. 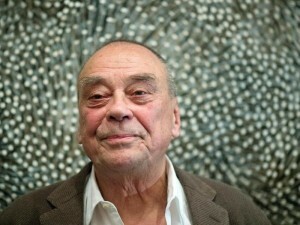 Uecker began his artistic education in 1949 when he took up studies at Wismar. He then went to the art school in Berlin-Weißensee and in 1955 to Düsseldorf, where he studied under Otto Pankok at the Kunstakademie Düsseldorf. In 1956 he began using nails in his art. Uecker met the group ZERO with Heinz Mack and Otto Piene in 1960, artists who propagated a new beginning of art in opposition to the German Informel. He occupied himself with the medium of light, studied optical phenomena, series of structures and the realms of oscillation that actively integrate the viewer and enable him to influence the visual process by kinetic or manual interference. Uecker, Mack and Piene began working together in joint studios at the Stedelijk Museum in Amsterdam in 1962 and installed a ‘Salon de Lumière’ at the Palais des Beaux-Arts in Paris. Other ‘light salons’ followed in Krefeld and in Frankfurt. Since 1966, after the group ZERO dissolved and a last joint exhibition, Uecker increasingly used nails as an artistic means of expression—a material that, until today, stands in the centre of his oeuvre. At the beginning of the 1960s he began hammering nails into pieces of furniture, musical instruments and household objects, and then he began combining nails with the theme of light, creating his series of light nails and kinetic nails and other works. Light and electricity continued to be one of the main subjects and natural materials such as sand and water were included in his installations, resulting in an interaction of the different elements to create a sensation of light, space, movement and time. 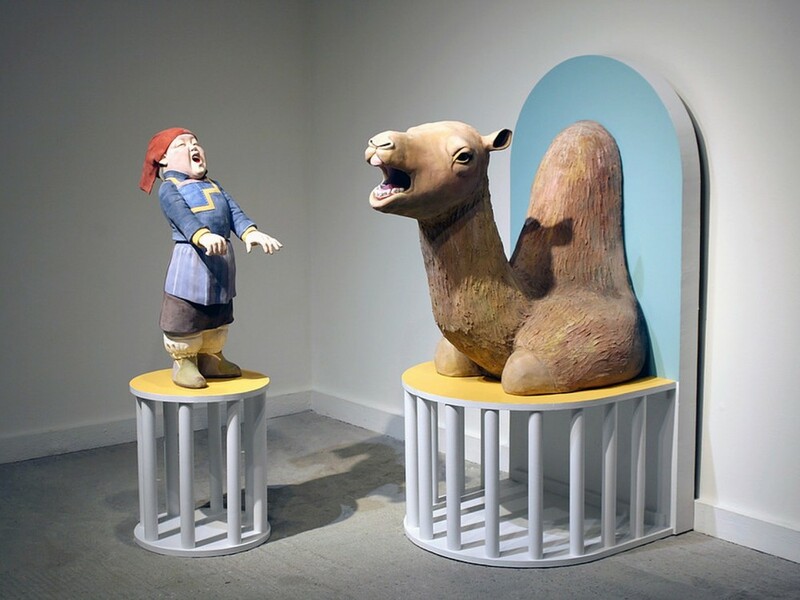 Uecker’s oeuvre includes painting, object art, installations as well as stage designs and films. His origins explain his interest in the eastern European avant-garde of the 1920s and 1930s, but he is likewise interested in Asian cultures and their ideas. His works can be seen in collections and large fairs in the West as well as the East. 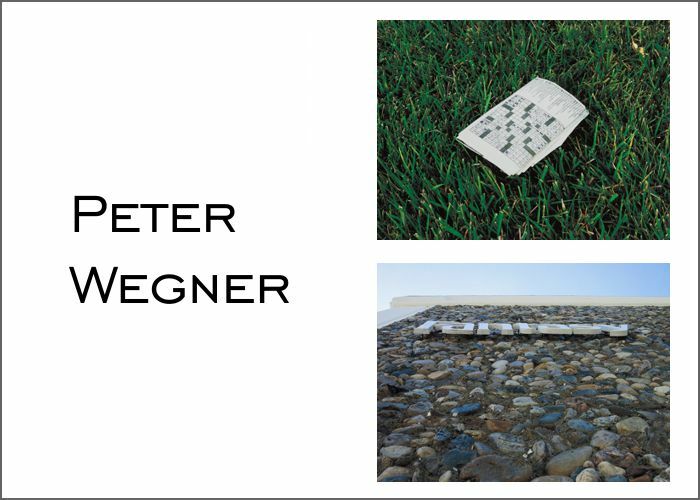 Uecker’s artistic creativity reaches a climax in 2000 in the prayer room he designs for the rebuilt Reichstag building in Berlin. 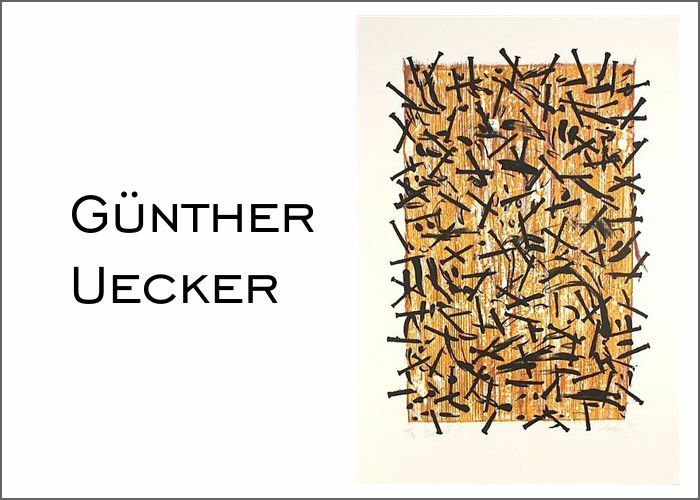 Uecker taught from 1974 until 1995 at the Kunstakademie Düsseldorf and was promoted to professor in 1976. Halina Jaworski was his first master student (Meisterschülerin). With Otto Piene, Heinz Mack and Mattijs Visser he founded in 2008 the international ZERO foundation. The foundation has the complete ZERO archives from three Düsseldorfer artists as well as documents and photos from other related artist.